We’ve heard rumors that Hyundai will introduce a high-performance Tucson N making as much as 340 hp. Still no official word on that front, but we do know Hyundai is rolling out a less aggressive but still sporty N Line version of the compact crossover. 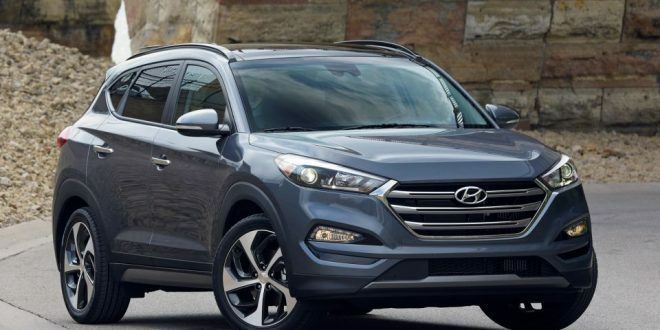 The Hyundai Tucson N Line is coming to Europe with cosmetic and mild performance upgrades. Look for new bumpers, a dark mesh grille with a dark chrome frame, and dark 19-inch alloy wheels. The dark theme extends to the side mirror housings, rear spoiler, lights, and window frames. Open the doors, and you’ll find sport seats outfitted in a mix of leather and suede, branded with the N logo. Other accents include red stitching, alloy pedals, and an N gear shift lever. Software changes promise a more linear steering feel on top models, Hyundai says. Also on top trim versions, the suspension springs have been updated to provide 8 percent greater rigidity up front and 5 percent more in the rear. Sadly, power upgrades aren’t part of the N Line treatment, at least not in the Tucson’s case. Hyundai declined to comment when asked whether it plans to bring the Tucson N Line to the U.S. Considering our love for crossovers, including the sporty ones, we imagine it would be a good fit. Hyundai first introduced N Line to the U.S. with the Elantra GT. Check out the gallery below for a closer look at the European-spec Tucson N Line.